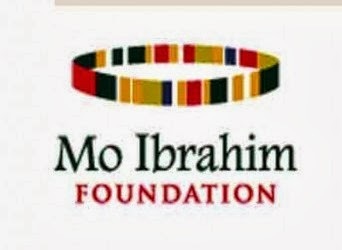 The Mo Ibrahim Foundation generously provids the School of Africa Studies (SOAS) at the University of London with PhD Scholarships and Masters Scholarships per year for African students undertaking a full‐time PhD and Masters programme in the field of Governance for Development in Africa. In order to be considered for funding, applicants must first secure an unconditional offer for studies by applying directly to the School of African Studies. Once the place is secured, the candidates can apply for the scholarship. Applications are invited from suitably qualified masters (MSc/MA) and doctoral students of African origin for the 2019-2020 GDAI Masters & PhD Scholarships. Candidates must be domiciled (or permanent residents) in an African country. Preference will be given to scholarship candidates living in Sub‐Saharan Africa. Candidates will be assessed on academic merit by a panel consisting of SOAS academic members. The assessment of your application will be based on the information in your scholarship application. a). PhD scholarships: The scholarship is on a part‐present form and it provides for fees for three years. However, accommodation and living cost are covered for the first year only. The scholarship will also cover in total 2 return flights: one during the first year, and one for the viva (plus one week’s accommodation around the viva). In year 2 and year 3, the successful candidate will also receive an annual stipend of £5,000. The Foundation also covers visa cost, provided receipts are submitted to the Centre of African Studies office. Students are expected to be on fieldwork during the second year, and to write the thesis in the third year in their country of origin. b). Masters scholarships: The scholarship provides for fees, visa costs, one return flight, accommodation at SOAS’ students hall and £8000 living cost for the year. In order to be considered for funding, applicants must first secure an UNCONDITIONAL OFFER for the PhD or the MSc/MA (as applicable) by applying directly to the SOAS Doctoral School or the SOAS admissions office respectively. Once the place is secured, the applicants can apply for the scholarship. Please provide the requested documents (i.e. complete application form, copy of unconditional offer of admission from SOAS, CV, statement outlining knowledge and interest in governance-related issues, and research proposal) by email to ab17@soas.ac.uk. CAS reserves the right not to award scholarships and will only award them where there are applicants judged to meet sufficiently high academic standards and with demonstrable interests in fields relevant to the objectives of the GDAI.